Rarely Avail. Completely Remodeled 5 Bed 3.5 Bath 3 Car Garage Premium Lake View Home w/ NO EQUITY MEMBERSHIP Guard Gated Comm. nestled in the best loc. at the end of the comm. w/ virtually no traffic. 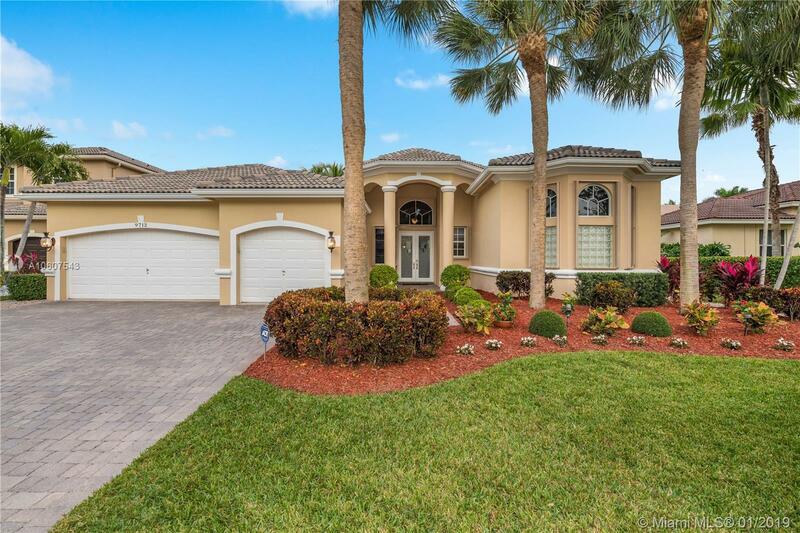 This Meticulously Maintained Home Boasts Luxury Feat. such as 42" Upper White Maple Cabinets/Granite Counters/Marble Backsplash/Wine Fridge/Wall Oven & SS Appliances. Huge Master Suite w/ Tray Ceilings & Sitting area overlooking Pool/Spa & Lake. Two Walk in California Closets & a Modern Bath Retreat incl. Roman Soak Tub w/ Pedestal Faucet, Frameless Glass Shower w/ Jets/Double Sinks & water closet. Other Upgrades incl. NEW AC/Salt Water Pool/Pool Heater/Diamond Bright/Fresh Paint inside & out/Fence/Sec. Cameras/Knockdown Ceiling Texture/Outside Built in BBQ, Accordion Shutters & more. Hurry!